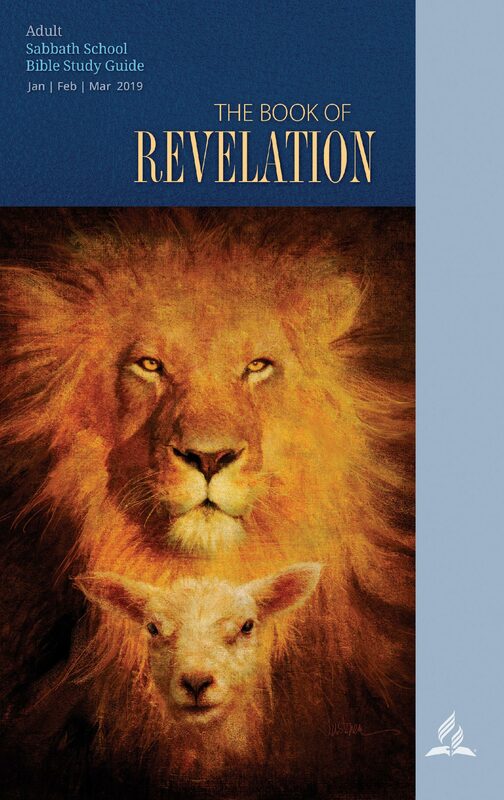 Revelation chapters four and five defines the context of Revelation 1: 1 where Jesus takes the book from God. We know this for sure since chapter four flows directly into chapter 5 where Jesus receives the book in the hands of God. Chapter four focuses mainly on the throne and He that is seated on it. Come up here—John’s vision moves from Earthly subjects to heavenly. Christ takes him into the throne room of God where the majesty and glory of God is presented to him. From chapter one of the vision of the Son of man in His priestly garment amid seven golden lampstands flows directly from the Holy place to the Holiest, separated by a door. Two things need to be noted. First, the chapter begins with the phrase “meta tauta,” i.e., “after these things” (4: 1). This is a direct reference to the previous chapters of the vision of Christ and the messages to the seven churches. Second, we are introduced to the statement “what must take place after this” (4: 1). The text is a direct reference to 1: 19 where the historical span of the vision was determined as “the things which are, and the things which shall be after.” Chapters four and five launches John into the preliminaries of the future. The one who sits on the throne (4: 2, 3): Contrary to Daniel’s vision where thrones were placed and the Ancient of Days took His seat, John here sees Him already seated on the throne. John avoids calling His Name in all instances in the book of Revelation (6: 16; 7: 10). His appearance is described like a jasper (21: 11, 18, 19) and carnelian or sardius (21: 20; both have brownish or fiery complexion). And roundabout (not an arch) the throne is a bow that shines like an emerald (21: 19). Since emerald is greenish, it’s not that clear whether John was describing the nature of the bow or really saw a rainbow as to our imagery. The imagery adds emphasis to the splendor of the one seated on the throne. An allegorical reading of the rainbow may miss its true splendid significance as told by Ezekiel (1: 28). It’s all about the glory of God. The imagery of the bow appears also in Rev 10: 1. Twenty-four thrones, twenty-four elders (4:4, 10; 5:8; 11:16; 19:4)—We are here presented with imagery of Semitic socio-political system, the system of gerontocracy often seen in the Old Testament. Elders were the representatives from the various tribes who led in the daily jurisdictions and decision making. [T]he institution of elders, is closely linked with the tribal system. Tribes were composed of clans, and clans of large, extended family units. By virtue of age and function in a patriarchal society, the father of a family ruled. This fact of age, as well as the wisdom and maturity invested in older persons, is undoubtedly the origin of the authority that these elders exercised… A central function of elders was the administration of justice. They were the “judges,” who sat “in the gate,” the traditional courtroom of ancient villages and towns. Here disputes and trials were settled by the elders, and community affairs were discussed and decisions made (Gn 23:10, 18; Jb 29:7; Prv 24:7; 31:23). The preservation and application of the Law was clearly in the hands of “elders at the gate of the town” (Dt 21:19; 22:15) or “elders of the town” (Dt 19:12; 21:3, 6; 25:7–10). Ruth 4:1–12 provides an excellent description of such a process. During the period of the monarchy, local administration and judicial authority continued to be invested in councils of elders. (Elwell, W. A., & Beitzel, B. J., “Elder”. In Baker encyclopedia of the Bible (Vol. 1). Grand Rapids, MI: Baker Book House, 1988, 679). The office of the elders is carried into the New Testament in both the religious life of Judaism (Matt 16: 21; 21: 23; 26: 3, 47, 57; 27: 1, 3, 12, 20, 41; Acts 4:8) and the Christian community (Acts 11: 30; 15: 2, 4, 6, 22, 23; 16: 4; 21:1 8; 1 Tim 5: 17, 19; Titus 1:5). Previous Why are the FOUR living creatures identified with the FOUR horsemen? If you want to be notified of new posts by email, it is easier. Click the follow button below to stay updated.